Do you fancy a brighter, whiter smile? 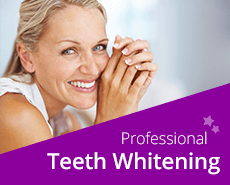 Our professional tooth whitening can give you an instant boost, allowing you to smile with increased confidence. Our first priority is your dental health and wellbeing. Once you have a healthy mouth you can choose from the many different cosmetic treatments we offer such as orthodontics, teeth whitening, veneers, crowns, bridges and dental implants. The advances in cosmetic dentistry are very exciting and mean our cosmetic dentists can completely transform your smile. We love the comprehensive range of cosmetic dental services we offer in Grantham and it shows. 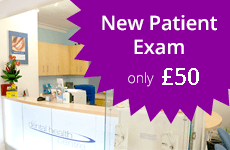 We invest in the latest equipment to ensure that the excellence of the treatment provided is among the best. Teeth can be whitened in the comfort of your own home in as little as three or four days, or more typically around two weeks. For the brightest and in our opinion the best results, we use Enlighten tooth whitening. Having tried many systems over the years we find this system really does give fantastic results. We offer 10 months’ interest free credit for Enlighten teeth whitening in Grantham, allowing you to spread the cost of your treatments. Call us today to find out more. 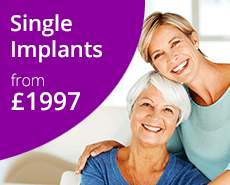 I’ve been a patient for three years now and they are absolutely brilliant – my teeth have been transformed.